Slogan: Where there’s a will there’s a way. 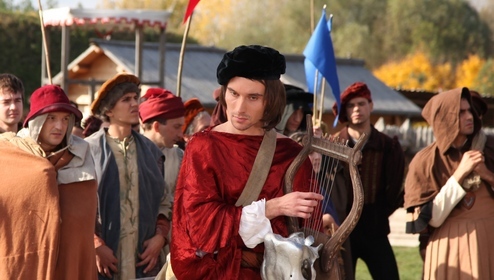 This film will take the viewer on a journey with a person whose genius epitomized the Renaissance era and the subsequent development of science and art. The hand of this prodigy will sketch the first prototype of a helicopter, paint the most mysterious painting of all time and illustrate human anatomy. 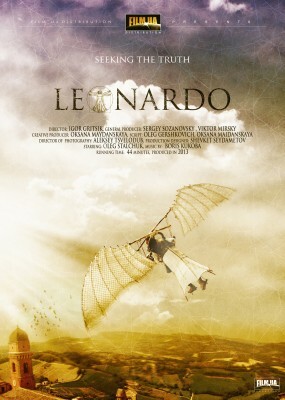 We’ll see young Leonardo obsessed with the idea of finding answers to the mysteries of nature. This obsession will never loosen its grasp on his mind, thus broadening the scope of his interests and investing into his feverishly vivid imagination. As a child Leonardo will try to subdue the sky, the one failure, which will only further stimulate his unquenchable curiosity. The film takes us through thorny days of the greatest minds of all time, the innumerable twists and turns on the path to enlightenment and fame. The story, told by Leonardo’s friend will uplift the veil to reveal da Vinci’s life in Florence and Milan at the time of political instability, his numerous scientific and artistic escapades as well as the creation of masterpieces, which stir awe and reverence in the hearts of men up to this day. The feature will lead the viewer to the Master’s final days when his agonizing solitude will be his only faithful companion - the price da Vinci had to pay to fulfill an almost god-like role in the fate of humanity.